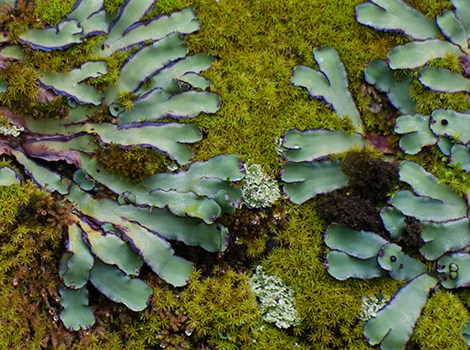 Lichens are not a single species, they are a “composite organism” consisting of a fungus and an algae. Lichens can occur in some of the most hostile environments on Earth and are what are known as pioneer species because of their ability to colonise new areas of land. Over many years they turn bare rock into soil, allowing other species to then colonise the area.